Why Bother To Save Halloween? 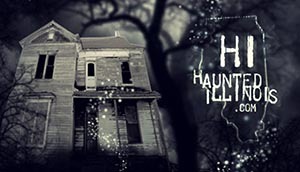 Every Halloween season, HauntedIllinois.com's dedicated team of reviewers visits the best and scariest haunted houses, Halloween haunted attractions and other Halloween events in Illinois. It is our goal to provide unbiased, high quality reviews that you can depend on. Which events are the scariest? Which ones are family-friendly? Read our reviews to find out! Know before you go. Bookmark this page and check back often, as reviews will be posted throughout the Halloween season. Our Top Ten Haunted House list has been announced! Join our mailing list to get the latest updates from Haunted Illinois! HauntedIllinois.com is your online source for everything Halloween in Illinois. We host the internet's most comprehensive and up-to-date directory of Illinois haunted houses, hayrides, haunted trails, home haunts, yard displays, fall festivals, apple orchards and other Halloween attractions. You will also find Haunted House reviews, local trick-or-treat hours, Haunt Industry news, links to hundreds of Halloween / horror / haunted house websites and more!